Join us in Wellington to hear the 2016 Ian Axford (New Zealand) Fellows Anastasia Telesetsky and Jackie Dingfelder present their findings. Copies of their research reports will be made available on the day and these will also be available for download from the Fulbright New Zealand website in PDF. Discards are harvested fish, aquatic life and seaweed that are returned to the sea. Discards happen for a variety of reasons including economic high-grading and avoidance of regulatory enforcement. Discarding becomes a critical fisheries management issue whenever discards are substantial in a fishery but are not reported. The topic of discarding has received academic and media attention in the past year. This research paper reviews New Zealand’s law and policy on discards and what the Ministry for Primary Industries (and its predecessor the Ministry of Fisheries) has been doing to address this complex biological and sociological issue. This project highlights international comparative approaches to handling discards in European and North American fisheries and offers a variety of suggestions to improve quality of available information for fisheries science, improve the operation of the existing quota system to reduce incentives to discard, improve selectivity during fishing, and enhance professionalism in the fishing industry. The project concludes with some thoughts about how New Zealand may be able to increase value for its export fisheries products. Anastasia is a professor of environmental law at the University of Idaho where she teaches in the Natural Resources and Environmental Law program. She has been based as an Axford Fellow at the Ministry for Primary Industries. This report focuses on New Zealand’s freshwater reform efforts since 2009. My research includes 1) documenting the collaborative processes to the development of policy advice led by the Land and Water Forum; 2) researching how the collaborative governance decision-making process is developing in New Zealand at the catchment level; and 3) assessing the role of iwi/hapū in water governance, including the challenges and resource needs for effectively engaging at the regional level. I describe the key institutions and actors shaping and constraining New Zealand’s freshwater reform discussions, and review the status of Crown/iwi discussions on rights and interests in freshwater. My research contains three regional-level case studies (Waikato, Gisborne, and Wellington), based on semi-structured interviews, to assess how indigenous perspectives are being incorporated into the freshwater governance and management processes. I also present a United States – based example of collaborative indigenous comanagement as a point of comparison. Key findings and recommendations to strengthen a bicultural approach to integrated water management include: central government demonstrating clear leadership and support of regional efforts; expanding local capacity and national-level infrastructure; facilitating greater understanding and dialogue about different world views; and promoting support tools for collaborative processes. 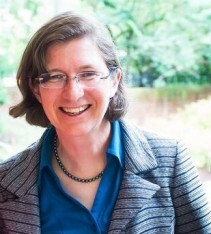 Prior her Fellowship, Jackie was the Environmental Policy Director for Mayor Charlie Hales, from Portland, Oregon. She has been based as an Axford Fellow at the Ministry for the Environment. These seminars are jointly presented by IPANZ, the School of Government at Victoria University of Wellington and Fulbright New Zealand. Ian Axford (New Zealand) Fellowships in Public Policy are for outstanding mid-career American professionals to research and gain firsthand experience of public policy in New Zealand. Usually two Fellowships valued at up to NZ$58,500 are granted each year, towards seven months of research. Applications close 1 April annually.